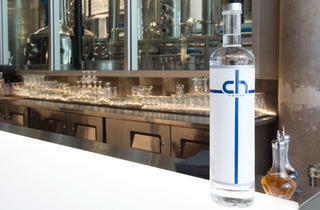 Photograph: Jaclyn Elizabeth Rivas CH Distillery's vodka is a Time Out Chicago's Best Awards Critics' Pick. 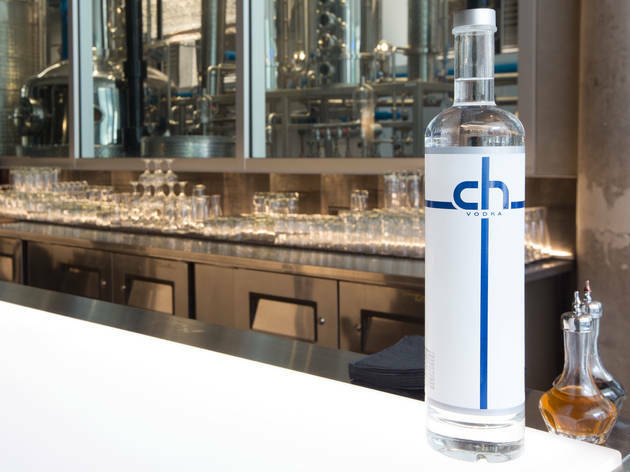 Cocktail aficionados often malign vodka’s neutral taste, but Tremaine Atkinson and Mark Lucas, who opened CH Distillery in the fall, love the spirit. Vodka, two gins, rum and whiskey are made on premises at the sleek West Loop distillery-cocktail bar, and while there’s a pretty solid lineup of cocktails, it’s the traditional vodka service that will change perceptions of the spirit. An ice cold shot of very smooth vodka is served on a thick wooden board with soft slices of rye bread and a skewer of cornichons—the vodka is crisp and pairs well with the salty snack. For big nights out, the vodka service is also available by the carafe.